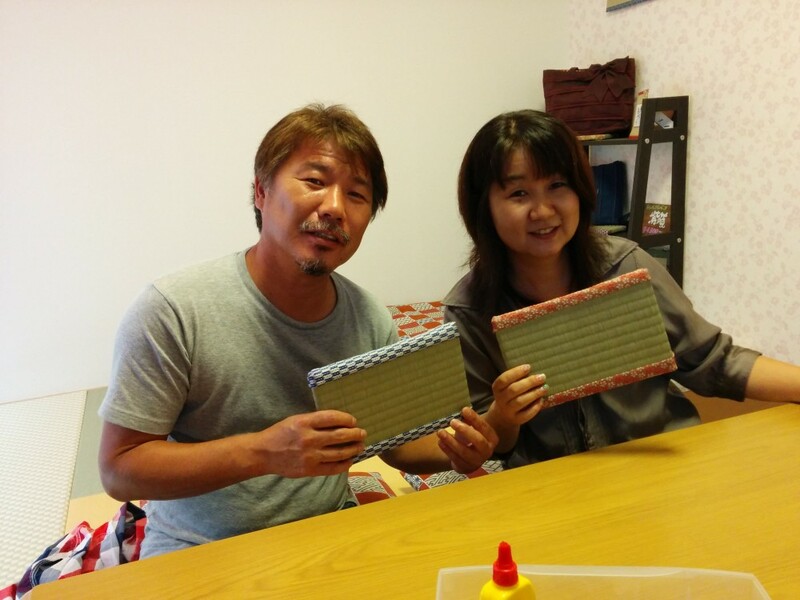 A wonderful couple from Kyoto joined our work shop on Sep 2nd. They were interested in the works of Tatami craftman 73 years old, Masao. They had impressive picture collection of him. Furthermore, mini tatami mats they made were great. Thank you for coming our work shop!